Odisha is located in the eastern part of India. It is formerly known as Orrisa. Bhubaneswar is the capital city of this state. It has many educational hubs those providing the education in the field of MBA. There are numbers of private and government management colleges where candidates can pursue their studies. The average literacy rate of Odisha is 73.5%. 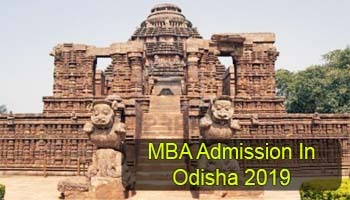 Candidates those wish to get MBA admission in Odisha 2019 colleges can get complete information in this article. The candidates those seeking admissions in the state universities and colleges of management can appear in university level and national level entrance exams. The KIIT University conducts its own entrance exam by the name of KIITEE for admission in its management courses. Candidates can also appear in other national level management entrance exams. Candidates those wishing to pursue a postgraduate management courses from Orissa can appear in national level entrance exams. Candidates have to apply through the application form for a particular exam. The entrance exams through which one can get admission in management course of the state colleges are CAT 2019/MAT 2019/XAT 2019/CMAT 2019/ATMA 2019/SAAT 2019 and many others. The candidates those wish to get admission in Xavier Institute of Management, Bhubaneswar (XIMB) can apply for CAT, XAT and GMAT 2019. 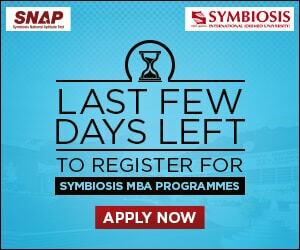 The top MBA colleges in Odisha those offering MBA courses are Xavier Institute of Management, School of Management, NIT Rourkela, KIIT School of Management, Amity Global Business School, etc. For admission in MBA colleges through national level entrance exams, candidates must meet the eligibilities given below. 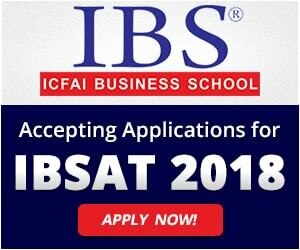 Only eligible candidates will be considered for the admission. Applying candidates must have the bachelor degree of 3 years from a recognized university/college. The candidates should have obtained 50% minimum marks (45% for reserved categories) in their qualifying examination. Candidates those are in the final year of their graduation can also apply. To take admission in the MBA programmes, candidates should qualify the entrance exam with good rank. After qualifying the entrance exam, the concerned college authority organizes the group discussion and personal interview for the qualified candidates. The final admission will be provided on the basis of a candidate’s score in the entrance test, GD and PI. Candidates also have to verify their documents at the counselling center for proceeding to further rounds. The respective authority will provide the provisional seat allotment letter to the candidate with the help of which candidate can report the allotted college for final admission. Candidates must have these documents in original at the time of attending the counselling. If you have any other queries about MBA Admission in Odisha 2019, you can write your queries in the comment box given below. I Qualify MBA OJEE entrance held on 13.5.2018 my rank in general-1471,others-570 and category(ST)71.Can I eligible to Admission Govt.MBA college of Odisha? What will the entrance date for MBA..